Cocoanut Jewelry opened it’s doors to Richmond in 1976, and has not left it since. While our location has changed, our passion has not! In addition to our beautiful jewelry, we also offer a vast selection of gifts including frames, vases, clocks, pottery and so much more. Our hard work shows with each work of art in our store. Whether you are looking for a new addition to your jewelry collection, or you’re on the hunt for the perfect gift for someone special, our store has it all! We truly are a Richmond tradition, and we hope you make us your tradition too! We pride ourselves on our amazing layaway program. With just 15% down, you can reserve your perfect piece of Cocoanut jewelry. Monthly plans are available, starting at only $5 a month. Once your piece is paid for, you can take it home to enjoy for years to come! We want to make sure our beautiful work is affordable for everyone. Jewelry repair is available in house. 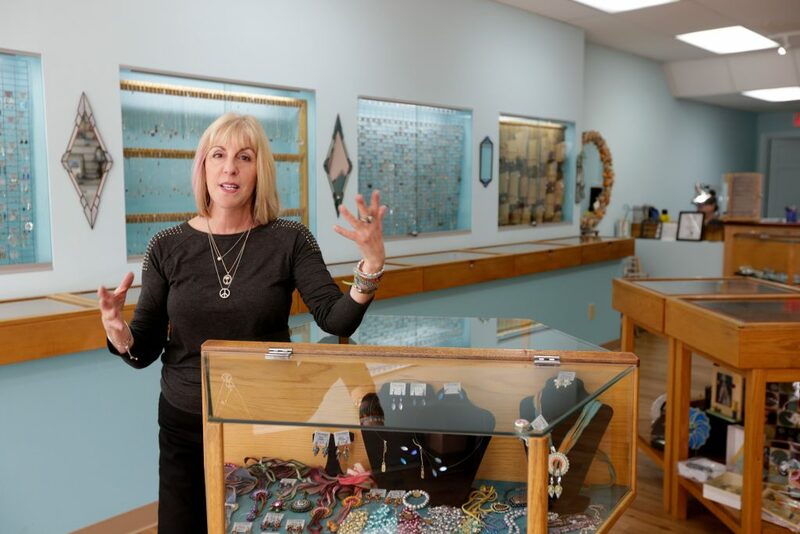 Our talented jeweler, Sheryl, can bring your previously loved pieces back to life. Whether it is a family heirloom or just your favorite necklace, Sheryl will take great care to repair it for you to wear time and time again. We do ring sizings, chain soldering, pendant repairs, pearl and bead restring, stone resetting, and various other repairs. Sheryl also creates gorgeous custom pieces. We can make and repair anything from gold to silver to costume jewelry, and everything in between. If you can’t find something in our store that suits what you are looking for, let us create that for you!